Unique plastic comb, wire and ibiClick binding systems for effortless binding in one model, available in both manual and electric configurations. Fully featured electric comb and wire binder ideal for high volume use in the large office. 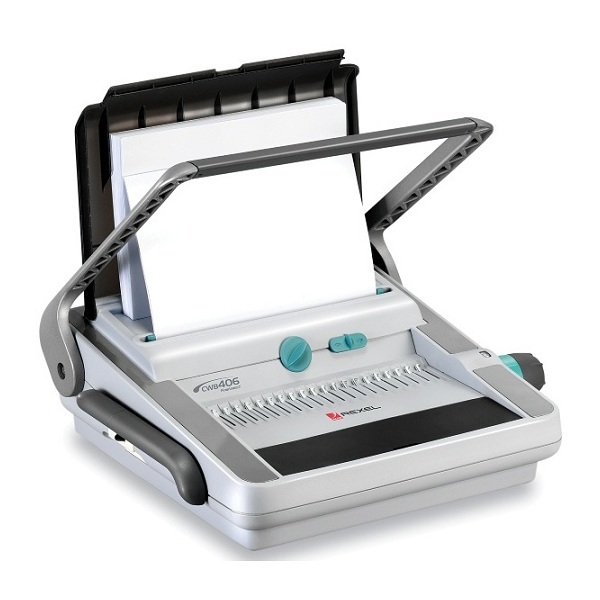 Features the patented Flowline Concept to ensure a faster binding process i.e. Document Separation which automatically divides the document ready for punching; Auto-Centering positions the document from the centre ensuring the punched holes do not break out of the paper edge. 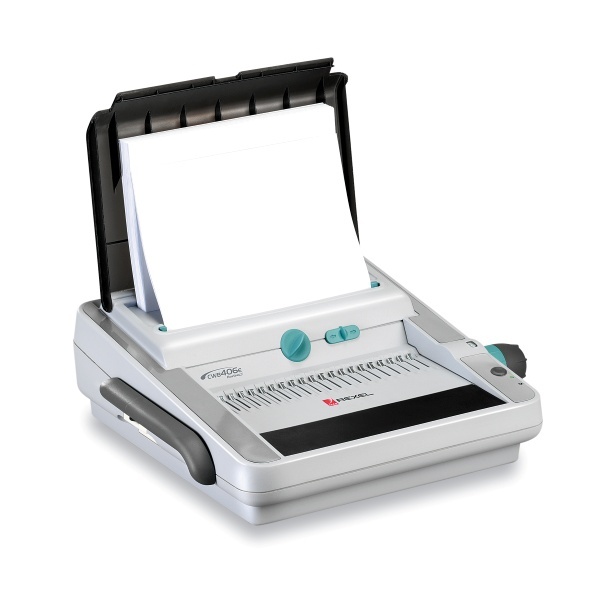 Electric Punch up to 30 sheets - A4 and A5 documents. Comes complete with starter kit and foot pedal for optional hands free punching.